Oceanside is a coastal city located on the northernmost city in San Diego County. It is the third-largest city in San Diego County and Oceanside real estate is diverse. 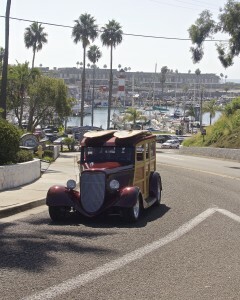 Downtown Oceanside is a couple blocks from the water and famous Oceanside Pier. Downtown Oceanside is growing rapidly, evolving from a seaside U.S. marine town into a city for food, beer and culture. The downtown is being filled in with gastropubs, restaurants and hotels. Affordable Oceanside real estate is available. Oceanside is the most affordable North County coastal community. Oceanside has four zip codes offering a diverse selection of properties. The coastal zip code 92054 has the beach, Oceanside Harbor and the downtown area. It spans from Camp Pendleton to Carlsbad. Multi-million dollar properties line the coast. Oceanside beach properties can sit right on the sand. Beachfront Oceanside homes are fantastic for beach lovers and make great rentals and second homes. Oceanside housing communities include South Oceanside homes that range from modest mid century military homes to large estates remodeled onto large lots. The premier South O community is the gated community of Saint Malo Beach. A gated community on the southernmost beach of Oceanside bordering the Buena Vista Lagoon and beach. Fire Mountain homes can have fantastic views from the hill just east of the 5 Freeway often with over-sized lots and custom built. Oceanside Harbor real estate consists of many different condos offering different locations and amenities. North Coast Village sits right on the water and offers short term rentals, Sea Cliff is newer and more private, Marina Del Mar has the beach on one side and the harbor on the other, and there is even high rise living in the Marina Towers on the harbor. Oceanside zip codes 92056,92057, and 92058 are just off the coast and offer a wide variety of living options. Rancho Del Oro is a very family focused community with lots of tracts of newer homes and high scoring schools. Arrowood is a community of larger and newer homes in surrounding the Aarowood Golf Course on the north side of Oceanside and Hennie Hills is another community of homes on the south side of Oceanside on the El Camino Country Club near the 78 freeway. Jeffries Ranch has tract homes and custom homes homes that have horse trails instead of sidewalks..
Oceanside condos can be very affordable for the local military buyers, first time buyers and investors. There are many VA approved and FHA approved homes and developments throughout Oceanside and the North County area.